In his recent column in Switzer, John McGrath addresses the recent headlines surrounding negative gearing. The debate over potential changes to negative gearing and the capital gains tax discount has got plenty of Australians concerned – and not just investors, either. 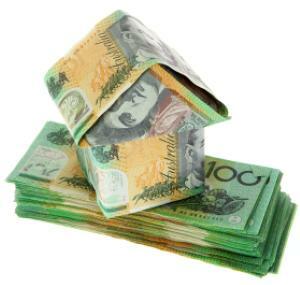 The flow-on effects would impact every Australian whether they live in their own home or rent. The notion that negative gearing is some slick tax reduction strategy employed by the mega-wealthy is far from reality. The latest available ATO stats (FY2013) show the largest group of people reporting a net rental income loss for the year were in the $100,000 to $150,000 taxable income bracket. In many cases, negative gearing is the only way mum and dad investors can afford to invest in property beyond their own home. The Australian Financial Review recently published a story stating around 1.2 million people had negatively geared investment properties and around 330,000 investors had used the 50% capital gains tax discount in the 2013 financial year. That’s a lot of people relying on those two tax subsidies to help them build wealth for the future. I think any changes that make it harder to invest in residential property are going to be a wealth killer for average Australians. While Labor has already outlined its proposed changes, which include limiting negative gearing to new properties only and halving the capital gains tax discount from 50% to 25%; the Coalition is taking its time in firming up its policy and speculation on potential changes is rife. This is very unsettling for people already relying or intending to rely on bricks and mortar for future financial security over the more volatile share market. 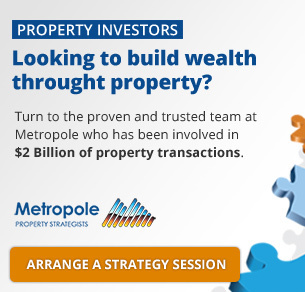 Right now, investors can negatively gear investment properties purchased with borrowed money. Any net rental losses incurred can be deducted from their salary or wages income, thereby reducing their overall annual tax bill. When selling, investors who have held their assets for more than a year are entitled to a 50% discount on their capital gain, which lowers their overall capital gains tax bill. Both policies have been successful in encouraging Australians to invest. The idea of tinkering with these laws is ludicrous because it will adversely impact every single Australian whether they own property or not! In my opinion, we should be aiding hardworking Australians who are trying to get ahead through property investment, not hindering them. If we make it harder and less affordable for Australians to invest, we’re looking at serious consequences down the road with many more people reliant on an already stretched pension and welfare system. These days, it’s generally accepted that in most cases a person’s superannuation would not be enough to fund their retirement, so they need to invest to create additional sources of income that will last beyond their final day at work. And the investment asset class that Australians best understand and are most comfortable with is residential property. It’s been the safest path to financial security for all Australians for more than 100 years. 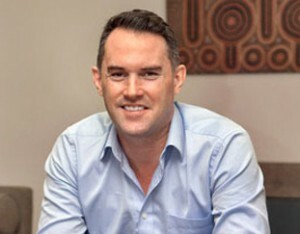 Further, if these proposed changes were actually introduced, investors might opt out of property altogether which would then result in a significant decline in stamp duty revenues and vastly reduced rental accommodation, making it even more difficult to house our growing population in an already undersupplied market. Why would any government want to do that? One final point, which relates to overall economic ramifications. New figures from the Australian Bureau of Statistics show real estate has overtaken mining as Australia’s most profitable industry; and thus it is more vital to the economy than ever before. Changes to negative gearing and capital gains tax will weaken this sector at a time when governments are saying we need to help non-mining industries rise up and fill the void left by the end of the resources boom. Construction is another related sector that would be severely impacted, leading to job losses and fewer new homes to meet the demands of our growing population. I can’t see a single valid reason why any government would target negative gearing and capital gains tax benefits as a means of saving money. The most obvious reason (which is not a valid one!) why it’s currently being targeted is because these subsidies cost a lot – but I contend there is value for money when such subsidies are helping a huge percentage of people proactively build wealth for their futures. Don’t we want to encourage that? Australia is a big economy and we spend a lot of taxpayer dollars in many different ways. There are plenty of other areas where we can cut spending while also minimising the number of Australians adversely affected. Our politicians need to think twice. I will be preparing for this opportunity. I remember Buffet said “only when the tide goes down you would know who is swimming naked”. Better dress up then before that happens un less you’re buffed.Lol! If they abolished negative gearing to residential properties, what about the positive geared properties or property that didn’t benefit from negative gearing and turned out positive? Are they gonna be taxed? Don’t you think thats a bit unfair? Unable to claim tax if you’re at a lost and tax you if you profit? This is one of the best articles I’ve read about the proposed negative gearing and capital gains tax changes. I just don’t understand why the business of owning rental properties and renting them out should be taxed any differently than other forms of business. I own my own manufacturing business and I own rental properties. If I borrowed to buy manufacturing machinery or company cars or any other assets owned by the business to use to make an income, either new or second hand, the interest on these borrowings would be tax deductible – ie negatively geared. If I sold any of these assets at a profit or over their depreciated book value or sold the actual business itself, they would be capital gains taxed at the 50% discounted rate if they had been owned longer than 12 months. Same rules apply to both the manufacturing business and rental property business. If people think owning rental properties isn’t a business I think they don’t understand what is actually involved. There are a lot of expenses involved that people who don’t invest in property probably don’t take into account. Stamp duty and legal fees when you first purchase – then – land tax, strata levies, rates, water rates, insurance, property management fees, ongoing maintenance and interest on the mortgage to buy it. Out of the 5 properties I own only the first one I bought over 10 years ago actually makes a profit. Eventually they all will as the rent increases over time. Without negative gearing owning rental properties would not be worthwhile without increasing the rent. If people stop investing in rental properties then this will surely affect the property market in a number of negative ways. I would love to see the live debate Nick is proposing above. I think the only thing to be exposed may be Nick’s lack of experience in the real world. This article is full of the usual property lobby propaganda. Too many unjustified and contradicting claims to list here. I would love to meet these guys in a live debate and expose their fraudulent claims.